WWP knows the frustrations of selling your property in the current market — especially when doing so from afar. We pride ourselves on our local knowledge, our ability to keep up-to-date with local trends, effective pricing techniques and prudent advice for the small details such as presentation and staging of properties. If you are deciding to sell your property, please allow us to give you a brief market update. One of the most important functions of a successful REALTOR® is the ability to analyze and value a property accurately. 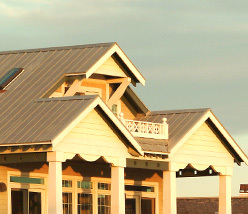 WWP offers extensive knowledge of the historical and current Bald Head Island real estate markets, as well as intimate familiarity with the locations, amenities and property features that determine a home or homesite’s worth. You can be sure that our team is dedicated to providing you with candid answers, honest advice and savvy marketing to help you get the best value for your property with the most seamless process. We use the best of the best: click on the Marketing Tools or Luxury Portfolio tab to learn more. As stated in the Profile of Home Buyers and Sellers published via the National Association of REALTORS®, real estate agents and the internet continue to be the most important resources in the home search process. At WWP, we understand the connection and employ the power of online marketing to aggressively sell your property. Elements such as quality photos of the property, detailed information and creative marketing techniques allow buyers to envision themselves in a particular home, creating an emotional connection to the property well before ever stepping foot through the door. Furthermore, we incorporate a strong Search Engine Optimization (SEO) program to make sure that our site and your listings are at the top of the search lists and right in front of potential buyers worldwide. From online marketing to high-end print advertising, Wendy Wilmot Properties carefully places our listings, and we welcome new ideas and feedback from our clients. 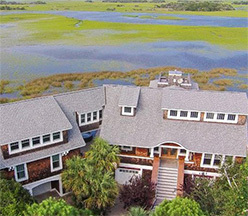 The majority of property sales on Bald Head Island come from existing property owners and referrals. 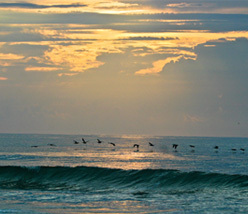 After many years of selling property on Bald Head, not only do we know the Island; we know its people. WWP is also a member of the Leading Real Estate Companies of the World (LeadingRE). LeadingRE is a global network of over 500 premier real estate firms with more than 3,500 offices and 120,000 sales associates in more than 50 countries. Collectively, this group sold nearly one million homes worth $314 billion in 2013, more than any national real estate brand. Wendy Wilmot Properties is a part of this dominating organization that sits on the United States’ list of top 500 real estate firms, with more of the number one market leaders in the top 90 markets than any national brand. At any given time, WWP has access to sending and receiving referrals all around the world and our involvement with LeadingRE puts us in a prime position for expansive global marketing. If you’re listing your Bald Head Island property for sale, you may have questions or need clarification about some issues. Wendy Wilmot Properties is here to make the process go as quickly and smoothly as possible. These PDF’s, links and FAQ’s should be very helpful, and if you have any other questions, please call or email us for a brief market update. Every property and situation is unique and there is no definite answer. Many factors influencing the amount of time it will take include: location, building restrictions in your area, strength of the market and how aggressive you are willing to get on your asking price. Call us today – we can evaluate your property and develop the right marketing plan to fit your needs. What kind of feedback can I expect from you and how often? Our company and Agents send out bi-weekly marketing reports via email. These reports show BHI stats on what has sold, is pending and what new properties have recently come on the market. We will also notify you of any showings and discuss with you any remarks or suggestions given by clients and other Agents. Every communication style is different, including our Agents’. Please feel free to discuss with your Agent the frequency with which he or she should be in contact with you. Your competition will be every other property on BHI that fits your property’s criteria. This will also include any properties in that description that have sold or are currently under contract. This is why pricing is so important. We are experiencing a market where Buyers are not emotional about their purchases for the most part. They are looking for the best deal. This is where our skilled and knowledgeable Agents will shine for you. We can help you find your best price range and market your property to stand out above similar properties. What can I do to make it more presentable? Presentation can mean the difference between selling a home and letting it sit for another season. Simple fixes such as removing excess furniture to reduce clutter and open up spaces, adding furniture to a sparse room, keeping vegetation trimmed back and property well-groomed, keeping porches clear of sand and debris whenever possible and keeping the interior clean and smelling fresh can make a significant difference to a potential buyer. What is a 1031 Exchange, and how can this benefit me? In general, a 1031 Exchange allows for the tax-deferred exchange of any business use or asset property for “like kind” property of equal or greater value. (The term “like-kind” is very broad in definition and does not mean that the exchange must be for an identical property. This exchange may occur between land and homes or even between residential and commercial properties.) This means that your capital gains taxes are postponed if you reinvest the proceeds from the sale of one asset property into another within the guidelines regulating 1031 Exchanges. Why sell a property that has significantly appreciated and put the proceeds in the bank before buying another asset property? You would just be paying hefty sums in capital-gains taxes and depreciation. Using a 1031 Exchange could actually increase your asset leverage. Please consult your Investment Adviser and Tax Adviser for more information on 1031 Exchanges and how it will affect you financially. Will you do open houses? Absolutely! WWP agents love to hold Open Houses as a way to meet more clients and to showcase a property. We usually hold an Open House along a major traffic road or intersection where there is high visibility. For homes in Stage II (where signage is not permitted) or in the interior roads, WWP advertises our Open Houses at the Maritime Market using their fliers system, as well as on our site, app, and the BHI Club app! Where you see a Yellow Cart, there is likely an Open House!